In Southern California, one high school booster club has taken on an ambitious task. The Scorpion Athletic Booster Club (SABC) in Camarillo began fundraising this fall for their Turf Field Project, a $1.7 million plan to install artificial turf on the Camarillo High School athletic field and resurface the track. While not alone in the scope of their donation, the SABC is one of a small number of booster clubs that have taken on projects of such size. In December, we discussed the club’s first steps in getting the project up and running: acquiring board approval, and working out the legal logistics. Over the next few months, Boosterland will continue to follow the progress of the SABC Turf Field Project, learning from the club’s planning and experiences. After receiving approval from the school board, the SABC got down to business, extensively planning their fundraising campaign. In their third month of fundraising, the club has collected more than $26,000, of their $1.7 million goal. So far, much of the money collected has come from individuals within the community. “We are currently working on trying to get corporate donations because that’s what we have been missing,” club secretary Lisa Chishholm-Duran told the high school newspaper in late January. While they’re far from meeting their goal, the club has done impressive work promoting their cause to supporters. The SABC focused much of their fundraising efforts on promoting a single, basic fundraising event, with a clear and consistent theme and message. “Selling” the turf: Though exchanging symbolic ownership for donations isn’t by any means a new concept, the SABC came up with a fairly unique way of making the existing model a bit more exciting and personal. Many gymnasiums are bear plaques or paving stones engraved with donors’ names, an effective but expected way of thanking supporters. The multitude of names can diminish the intended feeling of importance in the donor, and can be easily missed. So the SABC took a different tack. Long before they received board approval, the club decided they would “sell” the new field by the yard. While many donors can still be involved, there are a finite number of yards that can be sold, making those who donate are part of an exclusive group. And selling “ownership” of the field itself creates a more powerful tie than a plaque or paving stone, as the yards donors own aren’t empty symbols of what their money helped to create. Donors will watch the student athletes run on their field, see it used at games, and will likely feel a strong and clear connection to what they helped create. Promoting sales: The SABC decided they would need two slogans to promote the project and turf sales: One short enough to fit on a bumper sticker, and a second longer phrase that would succinctly explain their goal. 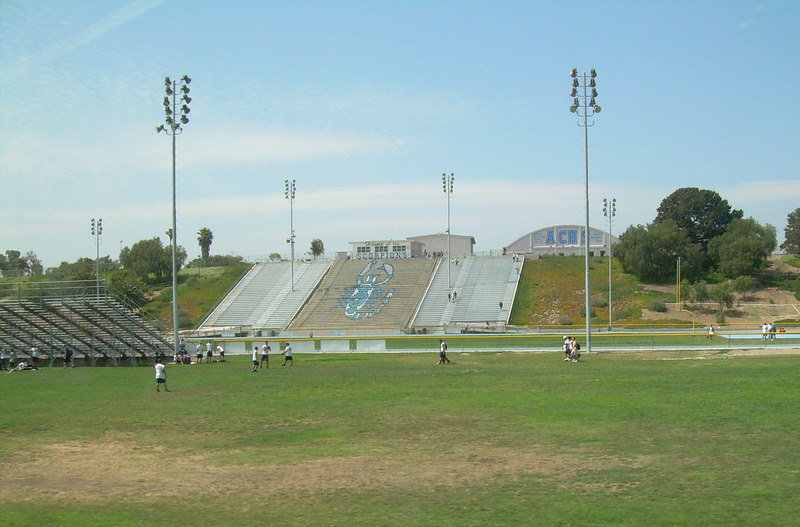 They came up with a long list of ideas for each before deciding on “Got turf?” and “Be a part of history, one yard at a time.” The short slogan keeps the focus on the most important part of the project — that the new field will be surfaced with durable, all-weather turf — while the longer clearly and easily supports the fundraiser. Since the fundraiser, the SABC has been consistently promoting their message online using the same recognizable slogans — interspersing fundraising updates and donor thank yous with team photos and scores, all referencing the project. On Instagram, the club posts photos of football players covered in dirt, poking fun at the team’s “home dirt advantage” and calling for donations, or shots of donors holding checks. The consistent message and tone is direct without being confrontational or pleading, and the connection to the health and happiness of students is made clear without inducing guilt or fear. Because the club started with a clear plan, it has been easy to consistently promote the project. Though they’ve had considerable success with individual donors, the SABC does have a fundraising gap to close before they can break ground on the new field. Share their story to show your support, and subscribe (below) to the Boosterland blog to make sure you don’t miss next month’s post.